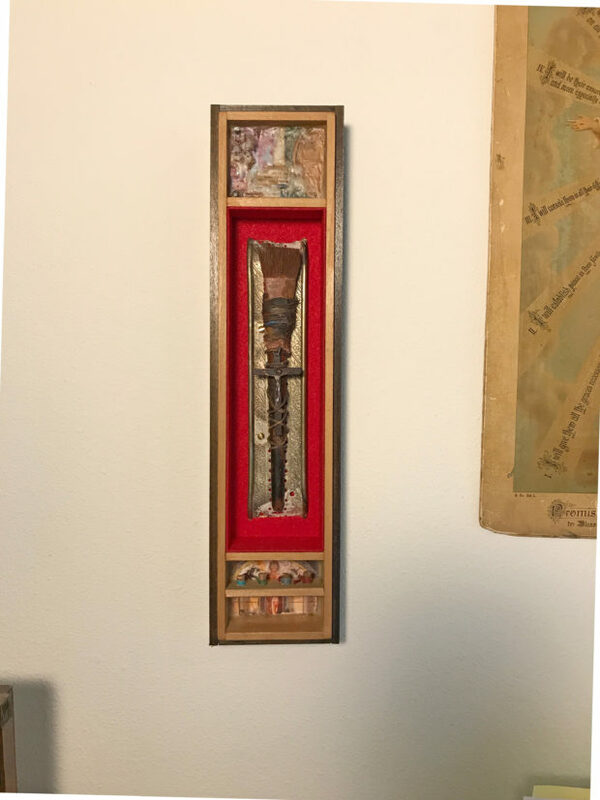 So blessed to have to assemblages voted in to the Gateway to the Imagination show in Farmington New Mexico . 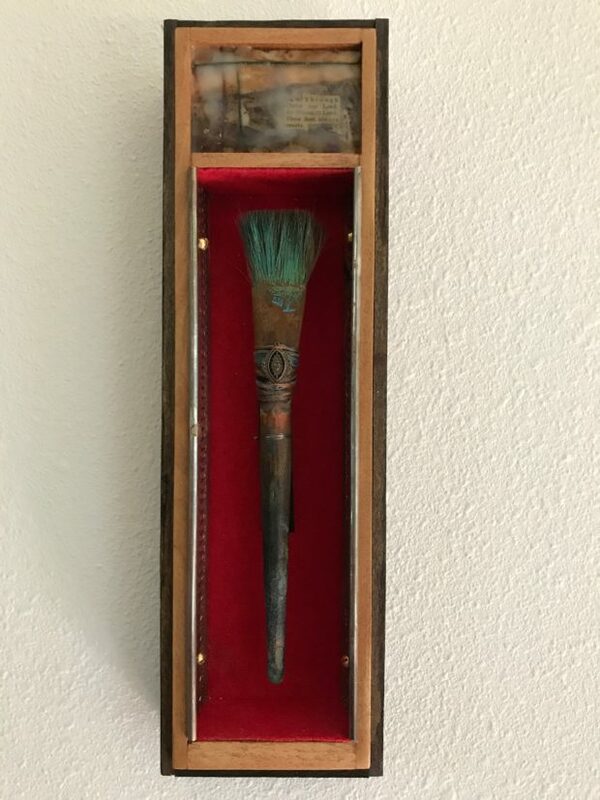 Titled Brush of the Master: Relic 2 and 3. .This artwork began with a collection images and found objects. Inspiration stems from an inner guidance, and intuition. I begin each piece with these in mind and hand, begin to add subtract, layer each piece, and bring together the artwork. Combining religion and found objects, I craft assemblages that contrast several influences to create new ways of expression. VOTED A JOLT WORTHY EVENT! This annual national juried art show is held at the Farmington Museum. The show features a variety of artwork paintings, watercolor, sculptures, photographs and mixed media. This annual show attracts fine artists from across the country and will feature approximately 100 entries, including paintings, watercolors, sculptures, photographs, and mixed media. Juror Julie Sasse, Chief Curator, Curator of Modern and Contemporary Art, and Curator of Latin American Art at the Tucson Museum of Art, will give a free presentation prior to the opening reception on September 23. More examples of this work can be seen on my Facebook page.